Welcome to Day 1058 of our Wisdom-Trek, and thank you for joining me. Hello, my friend, I am Guthrie Chamberlain, your captain on our journey to increase wisdom and create a living legacy. Thank you for joining us today as we explore wisdom on our 2nd millennium of podcasts. 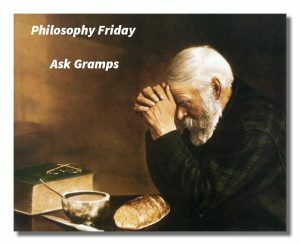 This is Day 1058 of our trek, and it is time for our Philosophy Friday series. Each Friday we will ponder some of the basic truths and mysteries of life and how they can impact us in creating our living legacy. We have concluded our deep dive into the nine types which are “The Reformer,” “The Helper,”“The Achiever,” “The Individualist,” “The Investigator,” “The Loyalist,” “The Enthusiast,” “The Challenger,” and “The Peacemaker.” Twelve weeks ago, we began a series of episodes on Type Combinations, answering the question, “What are the potential relationship benefits and issues with each combination?” Covering all of the 45 different potential type combinations will take several weeks, but will be valuable in understanding each other, regardless of what type you are and what type those with whom you interact with each day are. 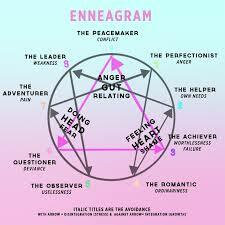 Both Enneagram Sixes and Sevens are mental types, and there can be a great deal of mental stimulation in this pairing. 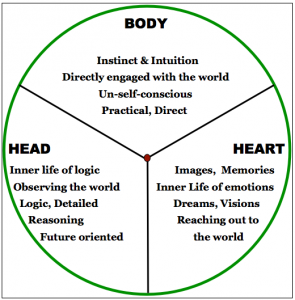 These two types offer many areas in which they reinforce each other, and some areas in which the strengths of one counterbalance the limitations of the other. Sevens are usually entertaining and tend to lift the spirits of Sixes. Both are quick mentally and often have rapier wits: they enjoy bantering with each other, verbally sparring, and seeing how absurd or funny they can become as they push each other to more outrageous limits. Sevens are particularly good at generating new ideas while Sixes are particularly good at mastering the practical steps that are necessary to get things done. Sevens help Sixes put fear and limitation into perspective, and sometimes to move beyond them entirely. 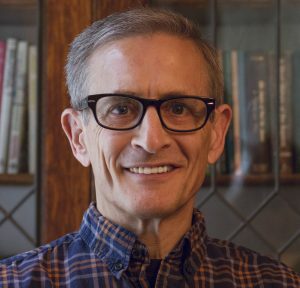 They thus make effective team members in which the Seven lays out the big picture and gets people excited about new possibilities while the Six moves in with the logistical and tactical know-how, following through with the details. In intimate relationships, the same balance pertains: Sevens are the stimulators, Sixes are the regulators—and they can keep each moving forward by allowing the other to counterbalance their own limitations. To this visionary-functionary mix, Sixes bring commitment and loyalty to the Seven, often expertise and groundedness that the Seven comes to trust and rely on implicitly, as well as a strong grip on reality and what can be accomplished within given parameters. Sevens bring a driving sense of optimism and possibility, high energy, a sense of adventure, and fearlessness with regard to failure. They can teach Sixes how to be resilient and how not to fear the future, while Sixes can teach Sevens the difference between optimism and pipedreams. 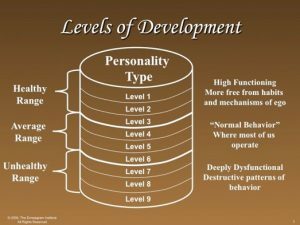 Despite how well Sixes and Sevens can reinforce each other’s strengths when they are healthy, in the average to lower Levels, the picture can shift quickly. Sixes are essentially interested in security and predictability, foreseeing problems and building procedures to prevent future uncertainty. They are aware of limitations and why things cannot be done—or at least done easily. Sevens, by contrast, are about seeking happiness and relief from increasing frustration or anxiety. They are about trying new things, seeing new possibilities and overcoming limitations. They do not want to hear about problems or obstacles: they want things to be done the day before yesterday. Sixes tend to be negative and pessimistic, while Sevens tend to be positive and optimistic. Sevens are future-oriented, while Sixes tend to be aware of the past, of precedents, and the lessons of history that would prevent things from going badly again. Sixes very much want to find someone with whom they can have a long term commitment, Sevens tend to be fearful of long term commitments and enter into them somewhat reluctantly. Sixes tend to feel that Sevens are too hedonistic, selfish, and extravagant, and when the chips are down, they wonder if they can be relied on. Will they skip off to someone else or avoid their responsibilities in some form of escapism or addiction? Sevens tend to feel that Sixes are too anxiety-ridden, worry too much, and make themselves (and everyone else!) crazy raising every question and objection before trying anything. Sixes oppose everything, at least at first, and get distrustful and suspicious easily. They live a life of limits and rules that Sevens feel are restrictions largely imaginary and self-imposed. In a Six/Seven couple, these two opposing philosophies reflect the very different expectations Sixes and Sevens have from life and from a relationship, and unless they can be reconciled, it will be difficult for this couple to remain one. 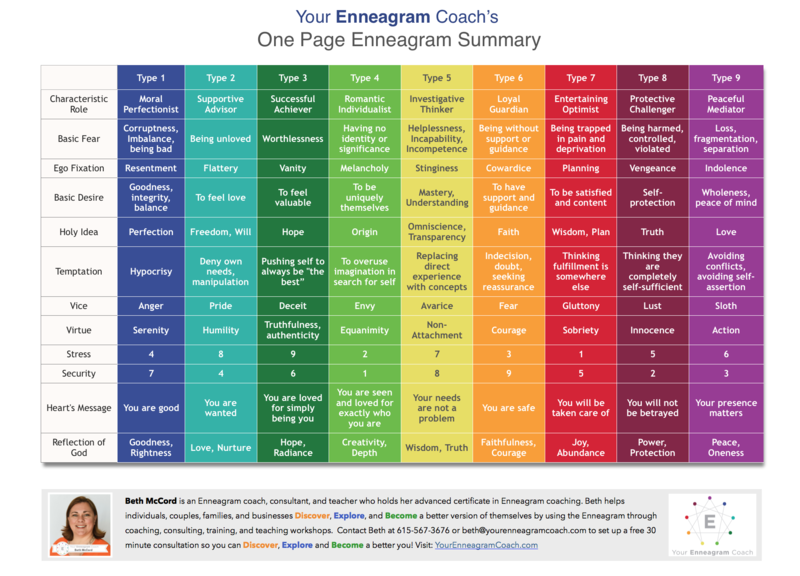 Enneagram Sixes and Eights can build an extraordinarily strong, long-lasting relationship on what is, at root, a defensive view of the world. Both types feel that most people and the world are selfish and untrustworthy, and that their world is highly unpredictable. One, therefore, needs to take care of oneself and one’s own interests (Eights) and have strong allies and the ability to get back up from one’s friends (Sixes). Both Sixes and Eights have deep issues with trust—and with finding people they are able to trust, and so when they have found each other and have gone through a period of testing, their alliance can be solid and deep. Once they have bonded with each other, both types have done so on a deep level of their being, and while the relationship may change over time, they are never indifferent to each other. They both admire and try to embody strength, commitment to one’s word, honor, unquestioned loyalty, responsibility, hard work, courage, a spirit of protectiveness, and fighting for the underdog. Both are doers, and enjoy being active, getting tasks accomplished, building a more safe and secure world for themselves and their loved ones. Sixes bring warmth, the desire for personal connection and commitment, a certain playfulness and sensitivity. They are also mental types and bring skepticism, analytic thinking, and the ability to think through decisions and to foresee outcomes and potential problems before acting. Sixes thus tend to act as advisors and lieutenants to Eights who tend to take the lead and provide the vision and audacity that Sixes sometimes lack themselves. Eights also bring directness and decisiveness, strong wills, confidence, and a can-do spirit that is energized by adversity and a penchant for taking on challenges. Sixes tend to look up to the Eights as their hero, while Eights are touched by the Six’s devotion and courage. Eights are aware of their inner struggles and what it takes to overcome them. When there is genuine affection between these two types, there may be fireworks and occasional fights, but the bond only seems to grow stronger with time. Both Sixes and Eights are emotional, although both tend to hide their emotions and vulnerabilities as best they can. Eights do so under a veneer of toughness and bravado, Sixes under a shell of defensiveness and bluster. Both tend to counterattack and go on the offensive when threatened—or when they feel they are being threatened. 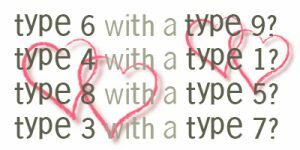 In general, Eights tend to take the lead in most relationships they are in and to set the tone and make decisions. They expect others to obey them and to be loyal to them. Eights may tolerate (or even be amused by) an occasional flare-up of independence on the part of others around them, but ultimately, they expect to be in charge. For the most part, this is also fine with Sixes, except for those times when Sixes feel the need to push back and to prove themselves. They need to show others (including the Eight) that they cannot be pushed around or taken advantage of. Power struggles of all kinds can ensue. This is especially true of “counterphobic” Sixes who can actually react much like Eights, displaying leadership, decisiveness, and independence (on the positive side) as well as bluster, aggression, and defiance. Sixes who are more counterphobic tend to get into more open fights with Eights until both have determined their territory and just how far each can push the other. Sixes who are more openly phobic (fearful, timid, anxious) generally tend to avoid confrontations with Eights; instead, they tend to present no open threat to the Eight’s dominance, while being covertly passive-aggressive and evasive. Eights can get into conflicts with phobic Sixes by sensing their indirect, questioning qualities—and whether or not the Six is as loyal to the Eight as the Eight wants. Eights may become more or less openly contemptuous of them if they feel the Six is weak or vacillating. Problems in this relationship can be exacerbated by the Eight’s tendency to get into rages, to make threats to the Six’s security, or to bully and play on weaknesses. When trust and respect crumble in this relationship, constant testing from both parties brings about the end fairly quickly. This is one of the most stable and most common relationships. Although both types are very different, they want rather similar things—security and predictability (Sixes) and stability and autonomy (Nines). They both want their lives to be built on solid, dependable values and for good, honest work to be rewarded. Both types tend to personify “middle of the road” values in their time and culture, to be dutiful, respectful of authority, and to abide by the rule of law. On the other hand, there is a rebellious streak in Sixes and a counterculture streak in Nines that allows some of these couples to live on the fringes of society, to be unusual in their lifestyle and beliefs, and to be free thinkers unconcerned about conventional values and more. More for Sixes and Nines than for most couples, much depends on their belief systems and the quality of their childhood experiences—and they are looking for a partner who will mirror this, including their own beliefs and reactions. To this mix, there are also complementary differences: Sixes bring a more active mind, questioning and alert to exceptions, to problems, and to safety issues. They can be more skeptical of others and find it more difficult to be trusting: others need to prove themselves first. Nines, on the other hand, are usually trusting and unquestioning, sunny and easy to get along with. They are optimistic and steady, offering support and non-threatening acceptance. If Sixes tend to see the exception and to focus on complications, Nines tend to see the general and to focus on what will work without problems. This couple gets along well, greasing each other’s wheels and adding just enough gas to the mix to keep them moving forward together. Change, when it comes, is slow and methodical. Both tend to see themselves as simple, regular people and do not feel special or exempt in any way. Both bolster the other’s confidence through their solidarity with each other. 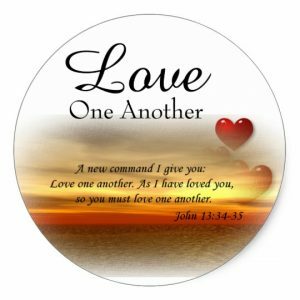 They are generous with each other and do not crowd the other or make special demands. When they find a relationship such as this, it usually feels like they have found what their heart has been seeking and their dream has come true. Since Sixes and Nines find it very difficult to say what is actually on their minds (and what they really want for themselves), there is a great tendency in this relationship to clam up, to be silently stubborn and defensive, and to make the other person guess what is going on. If there is little motive to do so, the two parties will fall into a stalemate that keeps the other at arm’s distance, yet close enough so that the other will not drift away. They may also begin to have health problems or other nonspecific complaints about themselves that seek to bind the couple in cords of concern and guilt. Psychological or physical problems help to ensure that the other person will continue to be there. Moreover, while these two types fulfill social roles very well, they both tend to disappear in their roles too completely for their own good. Sixes are frequently burdened by guilt feelings and doggedly do whatever they think they must do to keep their job or their security in place. They try to make sure that they have covered the bases so that no one will be angry at them for failing in their responsibility. Nines also fulfill roles, but these usually have to do with mediating between people to keep them together in some way. They accommodate themselves and go along with what others need even as their own stress grows. Another potential problem is that both types love the familiar and dislike change. The feeling is that familiarity equals security, which is reinforced by the conviction that they must not rock the boat. Both types will tend to put off confrontations until they are pushed to the limit, although Sixes have a shorter fuse concerning their anger. They will either give up on the Nine, or there will be an explosion in which a backlog of pent up hostilities will be said, often to the permanent damage of the relationship. 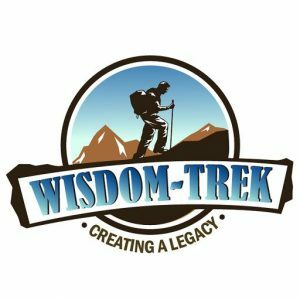 If you would like to listen to any of the past 1057 daily treks or read the associated journals, they are all available at Wisdom-Trek.com. I encourage you to subscribe to Wisdom-Trek on your favorite podcast player so each day will be downloaded to you automatically.